This fundraising event is part of the Worldwide Vegan Bake Sale. All proceeds for the Madison sale will benefit the Alliance For Animals. Drop by the Goodman Center and fill up with delicious vegan baked goods and help a good cause. If you are interested in donating a bake good for the event please contact Lynn at lynn.afa@gmail.com. Madison’s Worldwide Vegan Bake Sale. Pay attention to a vitally important election that is hiding in plain sight. Monday, April 8, 2013, at 7 p.m., all citizens are invited to attend the Wisconsin Conservation Congress election. In every county, you can vote against running dogs on wolves altogether. You can vote against expanding the newly initiated hunting and trapping in state parks from two months to seven. You can vote against killing coyotes through the nine-day deer kill. Most importantly, you can elect two delegates of five for each county to represent you in governing our 7.5 million acres of public lands and our wildlife. This election helps determine the quality of life for all citizens — it affects air, water, soil, mining, energy use, climate change and destruction of species. This election and vote is our only official citizen representation to the Legislature, Department of Natural Resources and Natural Resources Board. It is paraded out before the Legislature, annually, as the public’s will. I contacted the Government Accountability Office to find out why such an important election is not more transparent than it is. The Conservation Congress is “only advisory,” so it is not subject to Wisconsin election laws. It operates in a gray area, with great power and little oversight. No wonder candidates are announced on the floor of the event that night and never debate issues publicly. On average some 5,000 avid hunters, trappers and hounders attend statewide every year — and they elect themselves back into power. The election shoots under most progressives’ noses, stinking of death, unrecognized. Wednesday night, I returned home from staffing a table for Wisconsin Wildlife Ethic at the “True Wolf” movie to open a letter from Tim Lawhern, DNR Division of Law Enforcement. The letter addressed my “disruptive and threatening behavior” at the Natural Resources Board meeting Feb. 26. There I had displayed a barbed wire-wrapped pole commonly used by hunters who run down wildlife with packs of dogs. Since the multiple packs of dogs can be replaced with fresh dogs, foxes, coyotes, wolves, or any animals who cannot make it to a tree are run to exhaustion. If they hide in a culvert or den, this barbed pole is thrust into their flesh and twisted to extract them and throw them to the dogs. No doubt it is an embarrassment to the Natural Resources Board to have this exposed with an example of the barbed pole displayed. The pole and the idea of using it on flesh is indeed disturbing. But it was the wielding of a metaphor that upset the board. As an English major, I understand metaphor, defined as “the application of a phrase it does not literally denote … suggesting comparison to that concept.” I, too, was “having a little fun,” ending my testimony with: “Maybe I should try this on you (indicating the board) to get you out of that deep hole you have dug for yourselves.” Were the board members literally in a hole? Of course not. It was a comparison — not a literal intention. If board members felt mere imagery so keenly, should they be promoting dog-fighting and barbed wire poles on real flesh? In other words, they intend to muzzle me. And, interestingly, since I was not arrested as a threat, on this trumped up first “offense,” there are no laws cited as broken. Even more telling, there is no timeframe given for this arbitrary “sentence.” Lifetime? My First Amendment rights are denied arbitrarily. Election posters and flyers for download are available at www.wiwildlifeethic.org. Patricia Randolph’s Madravenspeak: Intimidation of a wildlife activist : Ct.
Times are changing indeed, and evidence that vegan eating has reached the mainstream is everywhere. Ten years ago, would you have ever even imagined people like Bill Clinton, Mike Tyson, and Michelle Pfeiffer talking about the benefits of choosing vegan foods? And look at the proliferation of dairy- and egg-free specialty companies, not to mention the recent (and hilarious) sketch featuring Justin Timberlake as a dancing block of tofu singing about the ethics and fun of vegan eating on Saturday Night Live. See full article by clicking on the link below. . .
Google Confirms: Veganism on the Rise | Compassion Over Killing. 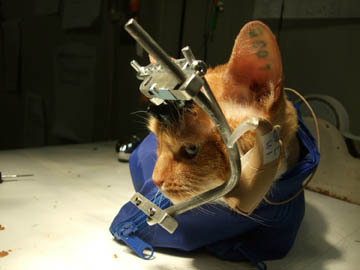 via The Ethics of Animal Experimentation on Vimeo.